Well this is my first post of the new year, I hope you all had a safe and happy festive season!! We were spoilt with special family times, lovely weather and a holiday spent between family houses at the lake and the beach – it all went too quickly. For Christmas my hubby generously treated me to The Little Paris Kitchen Cookbook (my new favourite go-to for delicious, simple yet different recipes!). If you haven’t yet come across this book it is well worth finding it. 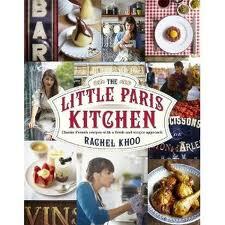 Rachel Khoo always loved France and cooking and so took herself off to Le Cordon Bleu and has since made a very successful career putting a modern and simple twist on traditional french recipes in her ‘little Paris kitchen’. One of the joys of going down to the lake is the fishing and we make the most of any opportunity we can to bring home a beautiful rainbow trout. We weren’t as successful as usual this year, but there was still a good enough catch for hubby to try out one of the recipes from my new book. 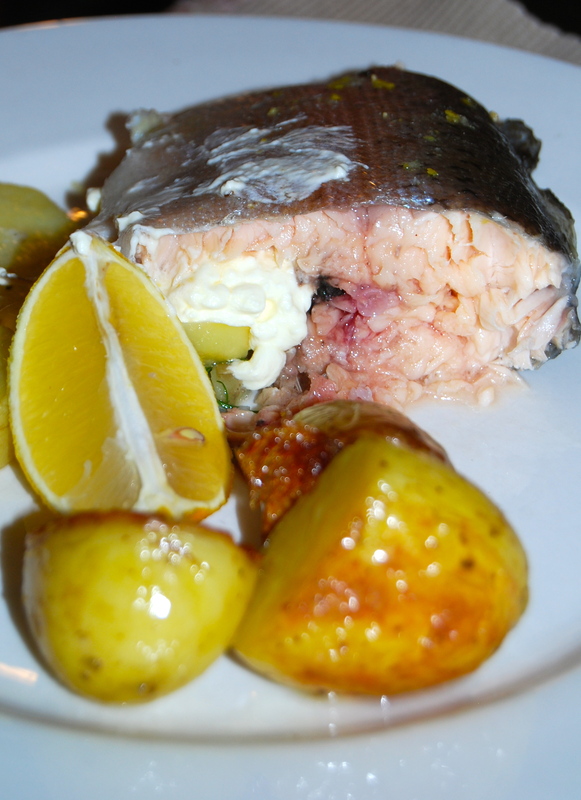 This ‘Truite en papillote avec fenouil, citron et créme fraîche’ (recipe below) was delicious, full of flavour and beautifully moist. Well done hubby! Steam the potatoes until almost tender, roughly 10 minutes. Leave until cool enough to handle, then slice. Preheat oven to 170 degrees C.
Mix the oil with the lemon zest and 1 tsp salt and pepper to taste. Rub this mixture inside the prepared fish. 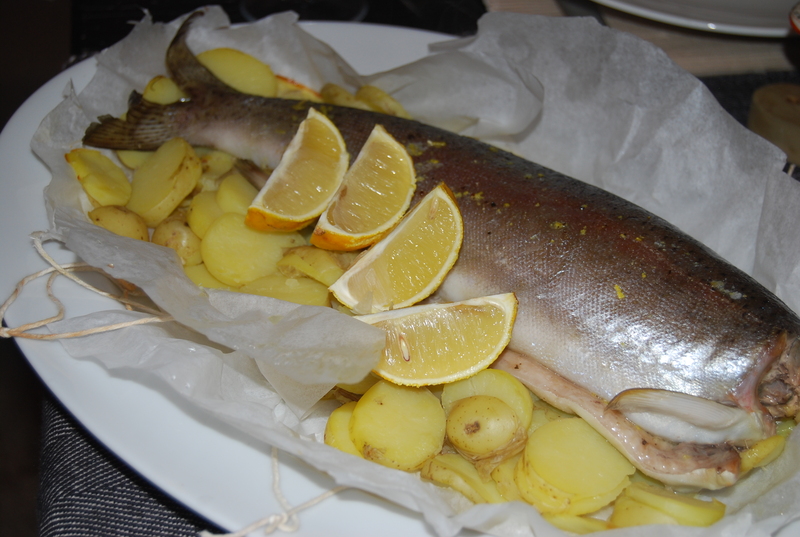 Place the trout on a large sheet of baking paper and stuff with the fennel slices. Place the sliced potatoes on the paper; alongside the fish. Now bring the edges of the paper together and fold over to form a sealed parcel, tucking the ends underneath. You may need to use string or foil to keep the parcel closed. Bake for 15-20mins, depending on the thickness of the fish. To test, open a parcel and lift up the skin of the fish – the flesh should look opaque, not translucent, and flake easily with a fork. Serve with the juices from the parcel, the créme fraîche and lemon wedges. THAT looks delicious ! I love trout . What an amazing hubby you have . He hunts, gathers and cooks! They’re hard to come by !